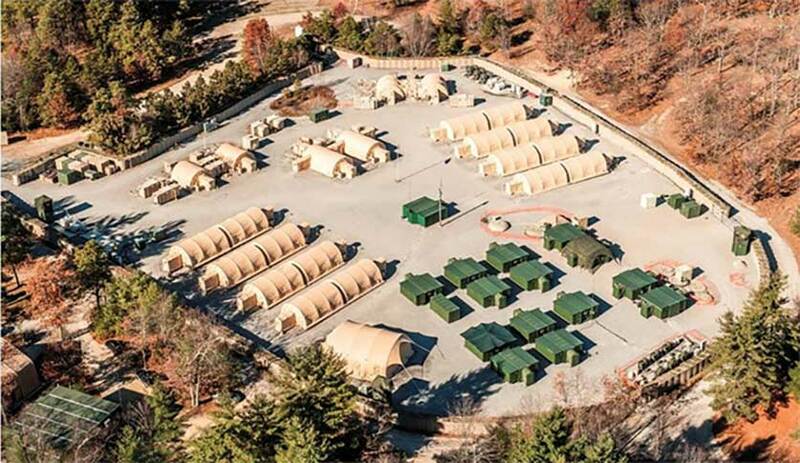 Each Force Provider Expeditionary (FPE) system is a high-quality force projection capability that contains billeting, latrines, showers, laundry and kitchen facilities. The system includes fuel support, water and waste management, environmental control units, power generation and power distribution to support 50-150 Soldiers. FPE is stored in Army Prepositioned Stocks 1, 2, 4 and 5 to support combatant commanders’ requirements. All system components weigh less than 10,000 pounds and are prepackaged for rapid transport via air (C-130, C-141, C-5 and C-17), sea, road or rail. Additional operational add-on kits include cold-weather kits, prime-power kits, large-scale electric kitchens, administration kits and morale welfare and recreation kits. Energy efficiency capabilities include a shower water reuse system, energy saving solar shades and insulating liners. These operational energy upgrades reduce fuel, power and water requirements. 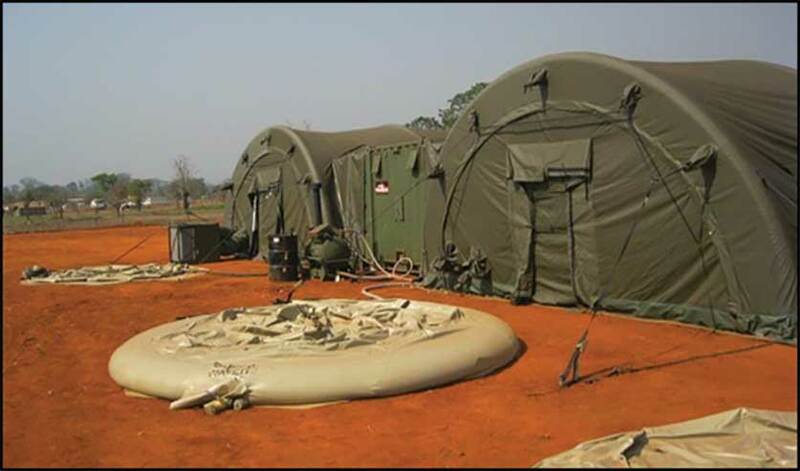 Tents in FPE use AirBeam shelter technology, which reduces setup time from days to hours. FPE allows combatant commands to project force anywhere around the world within 24 to 48 hours. It provides configurable, containerized, expeditionary Soldier sustainment capability designed to improve the Soldier’s performance, while reducing fuel, power and water consumption rates.